Looking for somewhere to stay in Malaga or more information on the city? Click here. Malaga, is a city on the Andalucian coast in Spain. It’s probably best known for being the gateway to the Costa del Sol and for the beaches, resorts and tourists that go with that. 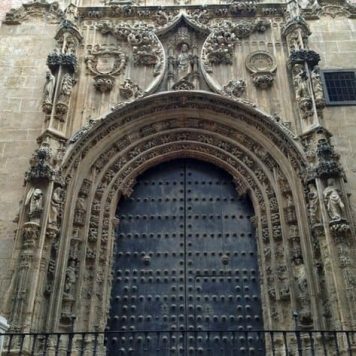 But the city has a traditionally Spanish side to it with depth, character and a history which is well-worth exploring. Next time you’re passing through Malaga airport think about taking a cultural swerve and explore the city before moving on to your resort. 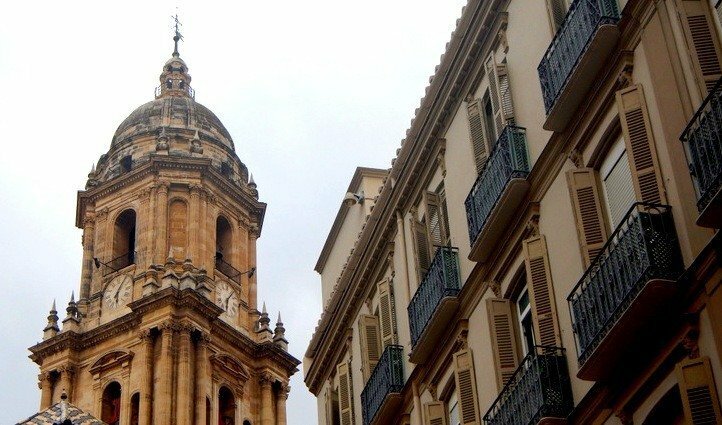 Read on for what to see and do in Malaga. Malaga Old town, which dates back to Phonetician times has a central pedestrian area made up of wide marbled promenades and narrow alleyways. Pretty squares are lined with traditional Spanish cafes and bars and there’s a good shopping scene. 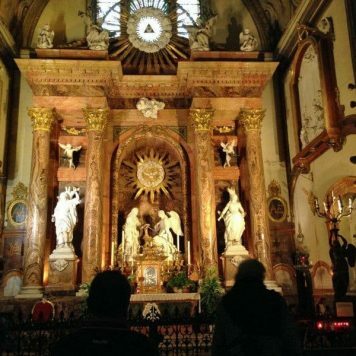 You can’t miss the fabulous Renaissance cathedral dominating the centre or the traditional Spanish vibe often lost in today’s Spanish coastal towns and cities. 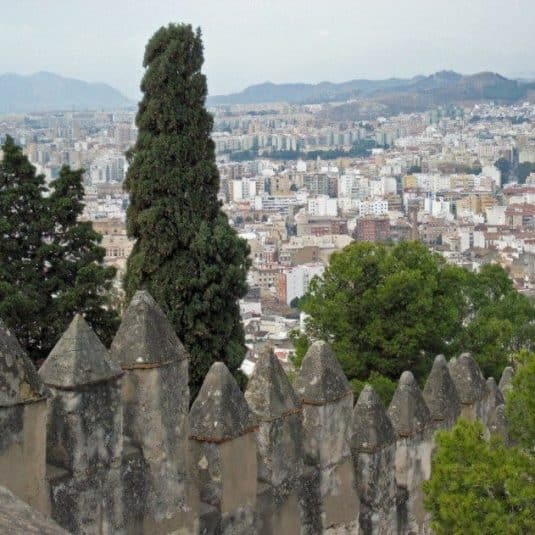 So, what to see and do in Malaga? I spent 48 hours in Malaga seeking out some of the city’s hot spots. 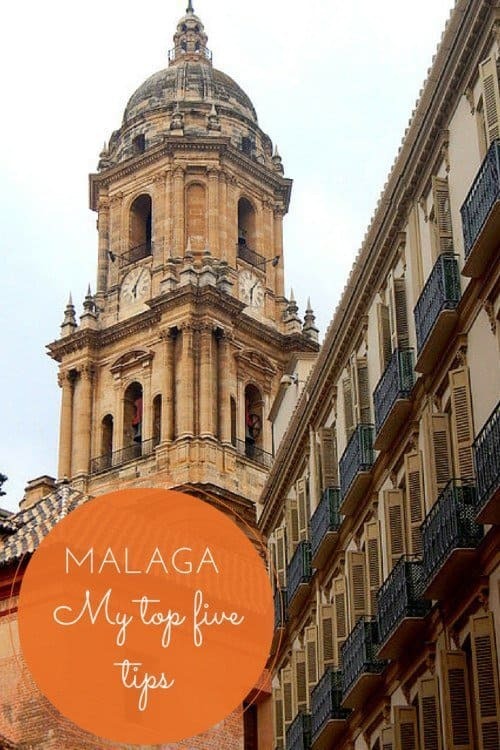 Here are my Malaga tips for visiting one of the best cities in Spain. It started to pour with rain while we were in Malaga but because of this we got lucky and came across one of the highlights of our stay as we dashed inside to avoid the downpour. Atarazanas Market known locally as Mercado Central has a rich history and the 19th century iron-clad building incorporates the original Moorish gate which used to connect the city with the port. There’s also a massive stained-glass window showing the city’s historical highlights. We spent time checking-out the stalls in the lively, animated atmosphere. 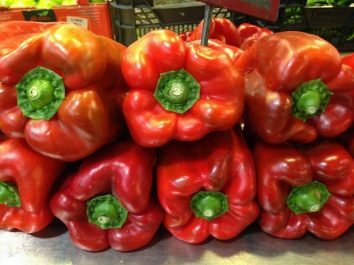 Trays of olives, colourful seasonal vegetables and fruit drew the eye and stalls with fresh fish, meats were abundant with produce. But the best bit was lunch – it seems that this is where the locals meet up on a Saturday – and with good reason. 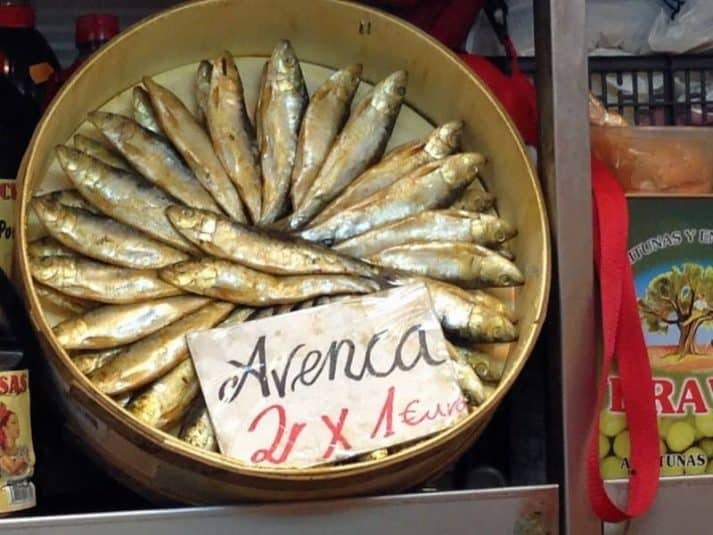 A couple of stalls at the back of the market are packed with people enjoying the freshest fish dishes and tapas cooked right in front of them. It seemed mad not to join in so we ordered prawns in garlic, a squid dish, Iberico ham, Queso Manchego and some local wine. Delicious food and a buzzy fun atmosphere made this a very special lunch. 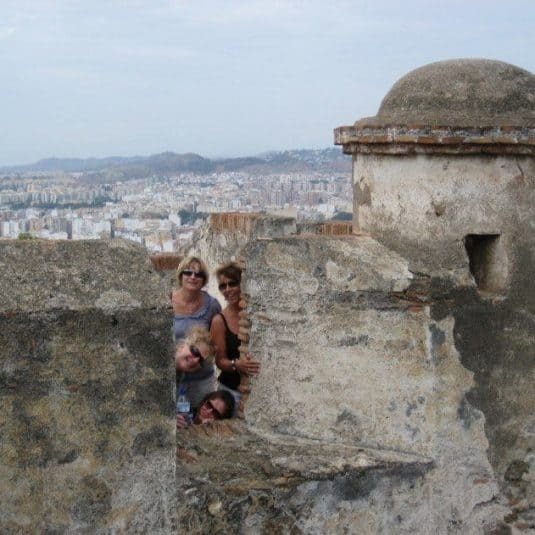 For spectacular views of Malaga take a wander along the rugged ramparts of Castillo de Gibralfaro. The Moorish fortress overlooks the city at 130m above sea level and dates back to the 8th century – it was originally a lighthouse and military barracks. There’s not much left of the original castle but the walk along the ramparts afford fabulous vistas over the city taking in the bullring, views out to the port and at some points the newly restored amphitheatre below. The walled walkway connects with the gardens, courtyard and fountains of the Alcazaba which is a beautiful place to wander. Inside is the Archeological museum housing Moorish, Roman and Phoenician artefacts. The best way to reach the castle by foot is via the scenic Paseo Don Juan de Temboury, to the south of the Alcazaba. 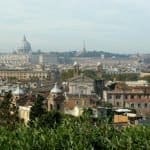 From here a path winds steeply through the gardened terraces with viewpoints over the city en route. The tourist hop-on-hop-off bus also stops nearby or you can drive up the Camino de Gibralfaro. Bus 35 from Avenida de Cervantes also goes there. Plans to build a funicular railway to the Castillo are in the offing. Admission is €2.20 and on Sundays after 2pm it’s free. 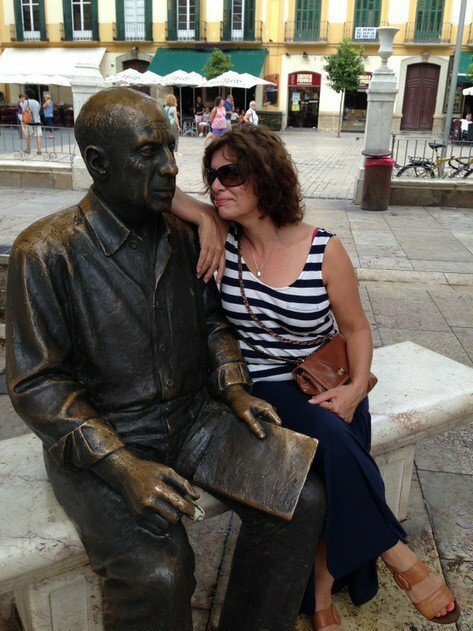 Malaga is the birthplace of Picasso. The artist was born there 133 years ago and of course there’s a museum commemorating the city’s first son – although he only lived there until his teens. The museum of Pablo Picasso resides in a renovated 16th-century mansion in the heart of the city’s oldest quarter called ‘Palacio de Buenavista’ – It’s quite near to the cathedral. The palace is built on the ruins of a Nasrid palace and houses over 200 pieces of his work. 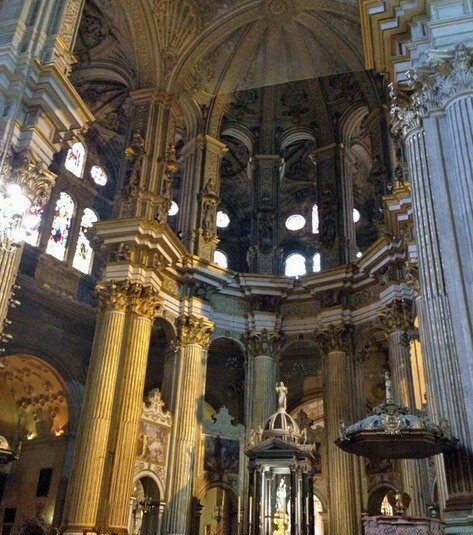 The Cathedral of Incarnation was founded on the site of a mosque in the 15th Century and sits in the heart of the city. Its moniker ‘La Manquita’, by which it’s known locally, means ‘one-armed lady’ – the tower on the south side has still never been completed. 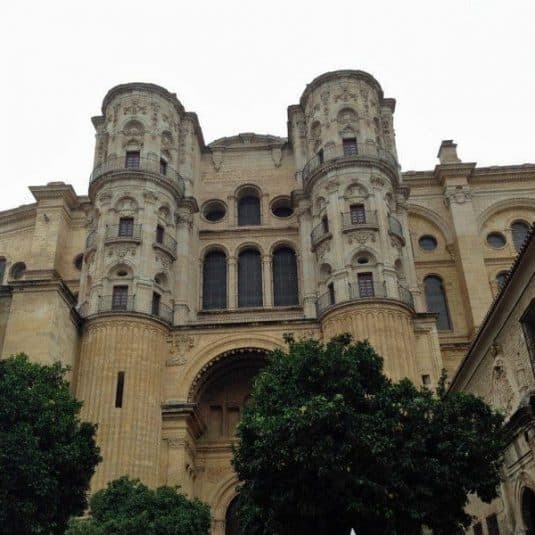 The cathedral belonged to the Moors until the 1400s and there are many Moorish influences still to be seen together with later Renaissance and Baroque elements. Outside there’s a small patio with orange and frangipani trees and benches for resting walk-weary feet – it’s worth stopping here to take in the intricate detail on the cathedral’s exterior. 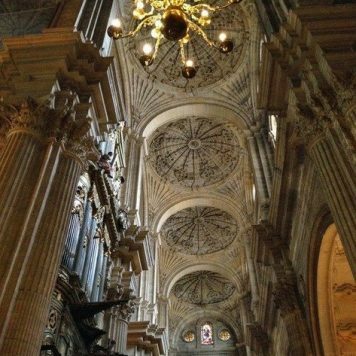 The cathedral’s interior is stunning with breathtaking vaulted ceilings, richly decorated frescoes, paintings and two organs with 4,000 pipes between them and a A 17th century mahogany and cedar choir. When: The cathedral is open Mon – Sat 10am – 5pm. It’s closed on Sundays except for Mass. Entry is free but it costs €5 for entry to the small museum. 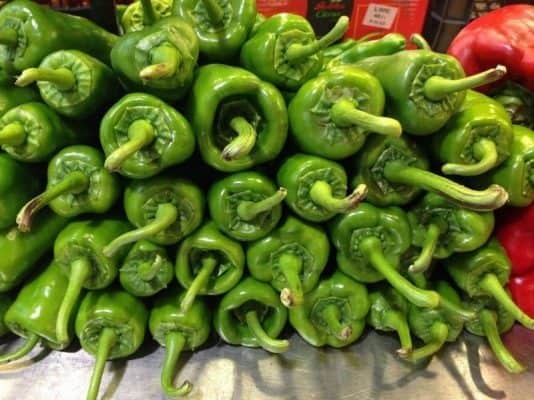 The Spanish have a breakfast tradition that really shouldn’t be missed. Check out the churros; finger-shaped doughnuts dipped in a thick gooey chocolate drink. 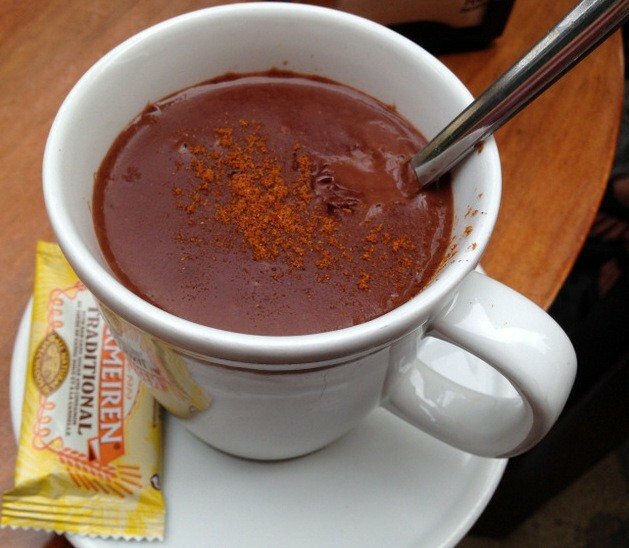 I chose chilli hot-chocolate – absolutely delicious but more like a cup of dessert. Luckily the girls were on hand to help me out because I really couldn’t manage that massive sugar fix on my own! There are a multitude of sherry bars in Malaga as it’s not far from the great sherry producing houses of Jerez. Dimly lit bodegas furnished with dark wooden mis-matched tables and chairs and sherry-infused bar tops are dotted around town. Huge barrels stacked floor to ceiling add to the atmosphere and walls are decorated with blue tiles and sepia photographs. 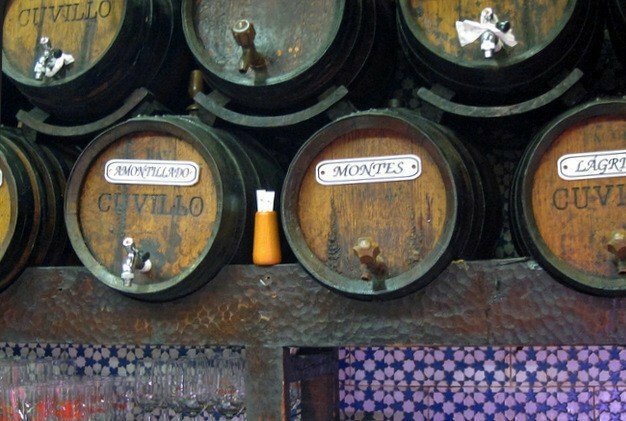 The fortified wine is quite trendy now and time spent sampling Jerez sherry and Málaga’s famous sweet wines in the bar of an old bodega gives a taste of traditional Spain. The airport train station is just a few minutes walk from Terminal 3. The train goes directly to the city centre stopping at the main train station, Maria Zambrano, en route. Tickets cost €1.80 and can be purchased at ticket machines at the station. You’ll need change for the machines. A taxi from Malaga airport to the city centre costs approximately €20. There is a minimum fare of €15.21 for taxi journeys from Malaga airport regardless of how short your journey is. I just lived in Málaga for a month! The most charming city with SO much to do. Can’t recommend it enough!! 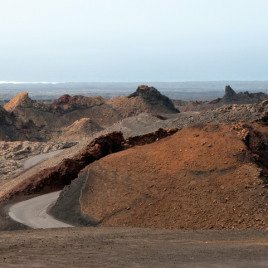 I’d love to spend a month there and really get to know it like the locals do! 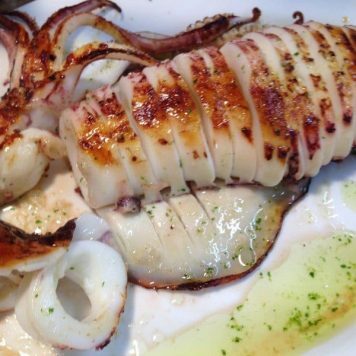 Food look amazing and I love Spain a lot. It’s not expensive but great food nice people and great beaches. Malaga is one of my favorite places in Spain. I’m heading back to Spain this year – a little village inland from Alicante. Malaga is a lovely town with so much to see there. 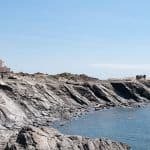 I really need to explore more of Spain, and would never have thought or Malaga as a base but it looks like a great place (and the food looks fab!). I’ve only been to mainland Spain the once (further south) but I’m longing to see more. 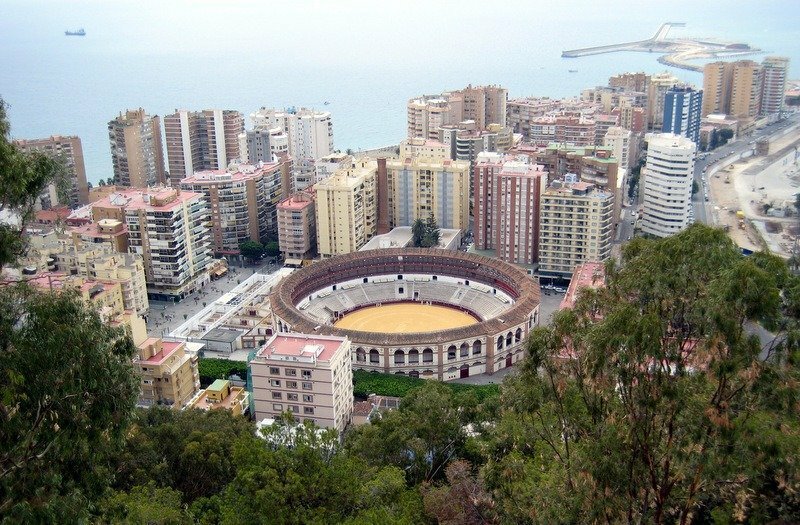 Malaga certainly looks an interesting place to spend a day or two and the market in particular sounds very appealing. 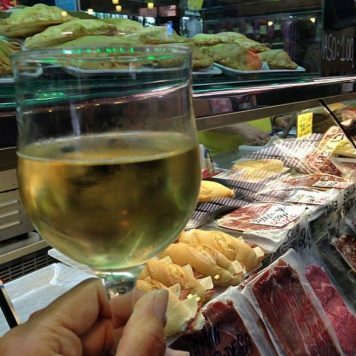 I can just see myself tucking into some tasty tapas amongst the locals – perfect! 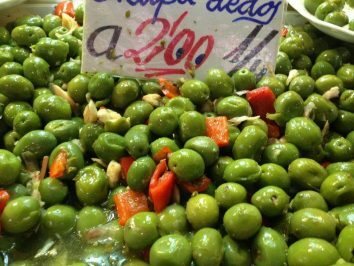 Malaga’s a good starter point to visit Seville, Cadiz, Jerez and Ronda if you fancy seeing more of Spain – and the tapas are fabulous! 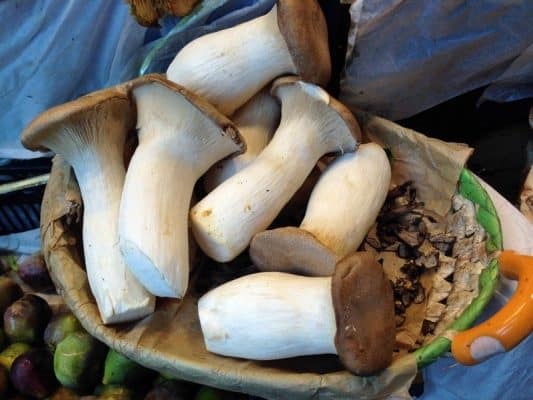 Great post, good tips. I love Malaga, it is always full of delighful surprises everytime I visit. Everyone heading to Malaga airport should visit the old town at least once. 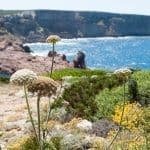 I agree – and so easy to to get there on the train from the airport for just a few Euros. This takes me back a long way, Suze! I have an antique photo somewhere of Michael toiling up the hill to look down on the bullring and it was HOT! We were on the costas somewhere and just spent a day there but I have a friend considering a couple of weeks next September using Malaga as a base. She’ll like this 🙂 Merry Christmas, again! 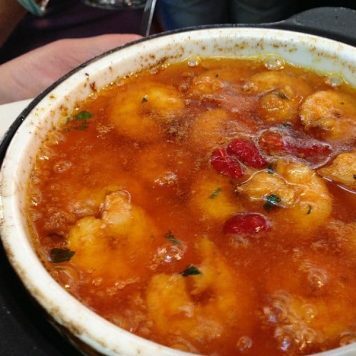 Food always seems to catch my attention too and those prawns were delicious with crusty bread dipped into the juice – yum!